TORONTO, ON – Thought leaders of legal technology and long-time members and supporters of the TLOMA community, TitanFile announces its sponsorship and attendance at TLOMA’s Technology SIG as speakers for their upcoming information session, Secure File Sharing. 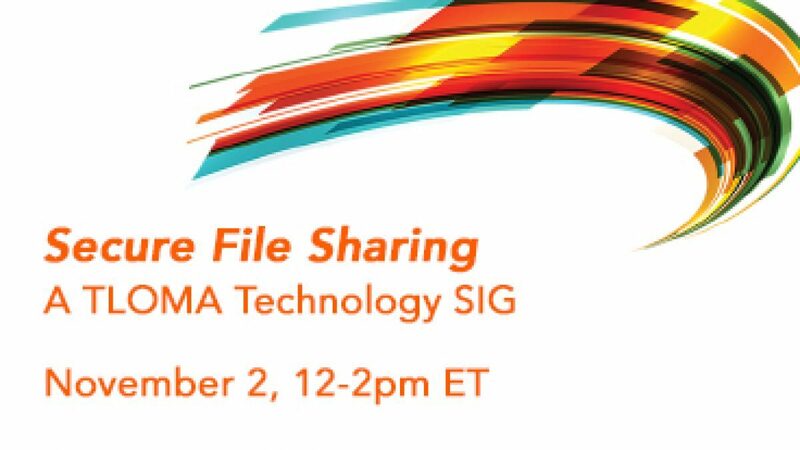 Secure File Sharing will be hosted at Goodmans LLP in Toronto on November 2 from 12-2pm ET. Speakers, TitanFile’s Victor Abou-Assaleh and Dr. Tony Abou-Assaleh, will be offering attendees insight on how to stay up to date with the secure file sharing standards their clients are looking for in today’s legal climate. As experts of cybersecurity, this session will provide useful tools on how to select the most effective secure file sharing tool and how to prepare the strongest file sharing toolkit for legal professionals. Attendees can expect to leave the two-hour session well-informed and ready to meet and exceed their clients’ cybersecurity protocols. Being the fourth TLOMA Technology SIG of the year, this event is highly anticipated and seats are limited. Food and drinks will be provided to attendees as sponsored by TitanFile. Registration details are available on TLOMA’s website. TitanFile is an award-winning secure messaging and file sharing platform for external correspondence among attorneys, support staff, clients, and other professionals. TitanFile is as easy to use as email, resulting in increased efficiency, cost saving and higher customer satisfaction while improving security and compliance.